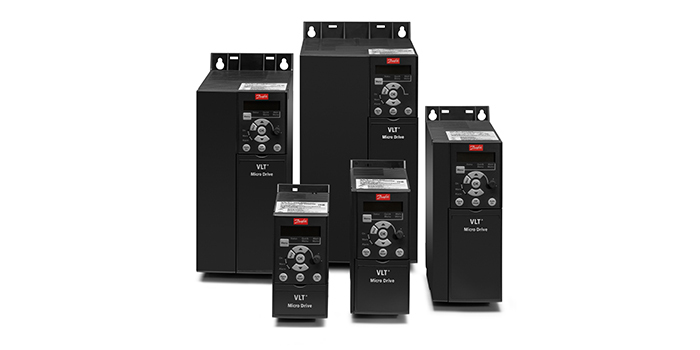 The VLT® Micro drive is a general purpose drive that can control AC motors up to 22kW. It’s a small drive with maximum strength and reliability. The VLT® Micro Drive is a full member of the VLT® family; sharing the overall quality of design, reliability and user-friendliness. Due to high quality components and genuine VLT® solutions, the VLT® Micro Drive is extremely reliable. The VLT® Micro Drive is manufactured with respect for the environment, and it complies with the RoHS Directive. For applications where reducing harmonic distortion is critical. Ideal for commissioning and servicing the drive. Comprehensive energy analysis tool, shows the drive payback time.